As I described in an earlier post, I didn't have a ton to work with in terms of compositions when it came to my shoot from the Tribune Tower Veranda, but one way of creating unique photographs was re-using this composition with various light. I've already posted a blue hour shot of this same location, this shot was actually taken about 45 minutes earlier, with overcast daytime lighting. 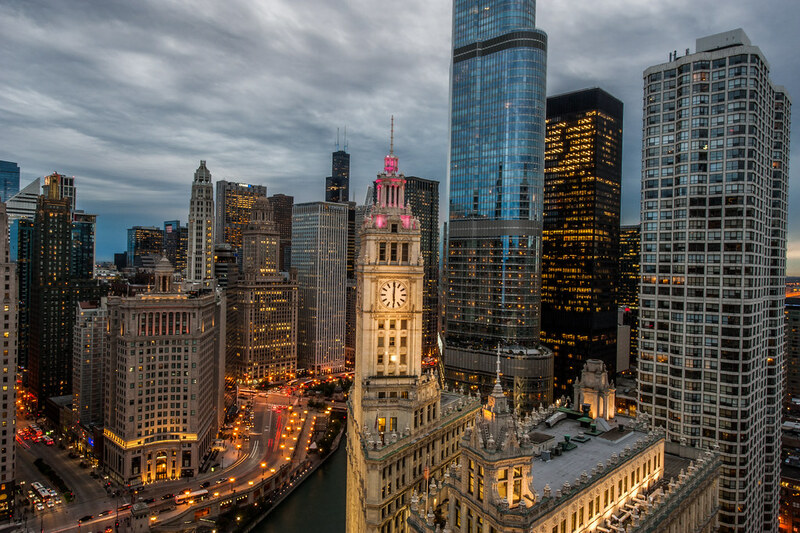 Another shot of the skyline from Tribune Tower, this one was taken a bit earlier in the day. By the way, let's go Cubbies!! !